CooksRecipes has quality, kitchen-tested recipes for a variety of hamburger and sausage pies that you can count on for successful deliciousness. Not into spicy? 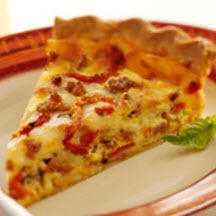 This tasty recipe can be tamed by using mild Italian sausage instead. 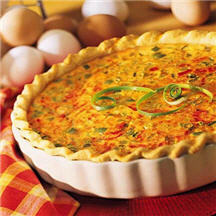 Serve this versatile, great tasting Southwestern-flavored sausage, chile and cheese pie for brunch or supper. 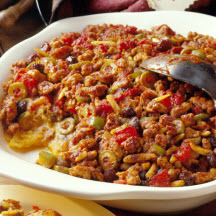 Picadillo is a Latin ground meat filling, usually featuring olives and raisins, used for stuffing chiles, tamales. Here this inspired filling is the basis for a cornmeal-crusted pie.